Book provides detailed look at Confederate leader's religious life. Published 6/8/2018. Books. "The Religious Life of Robert E. Lee" by R. David Cox. Wm. B. Eerdmans Publishing Co. (Grand Rapids, Michigan, 2017). 336 pp., $26. More than 153 years after the end of the Civil War, Confederate military leaders are in the news. More precisely, monuments of them are in the news. 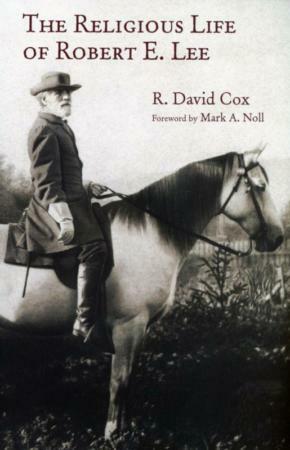 Amid the turmoil that has risen from demonstrations for and against the monuments, in "The Religious Life of Robert E. Lee," R. David Cox provides insight into an aspect of the Confederacy's most prominent figure. To be sure, this book will have no impact whatsoever on resolving the stay/go arguments surrounding Lee monuments. However, it provides a perspective as to how Lee, an Episcopalian, was formed in the faith, and how he applied those beliefs on matters of his day, particularly slave ownership and states' rights, and leading an army into war to maintain both. To establish that perspective, Cox goes deep into Lee's life, detailing the influence of his parents and his wife, as well as other relatives and friends, and continuing that detailed narrative throughout the remainder of the general's life. In fact, detail is an essential part of this work, maybe overwhelming at times. Nonetheless, it is critical as his source material includes scholarly historical works, and, more importantly, he draws upon the correspondence written by and received by Lee to establish what one could consider the general's faith journey. It is from these letters that the reader sees the evolution of that faith through various stages of his life -- from youth to West Point cadet to military leader to husband and father to cavalry commander to leader of and defeat of the Confederate army to college president. Readers will appreciate the attention Cox, an Episcopal priest since 1972 and a professor of history at Southern Virginia University since 2006, devotes to each of these areas, as together they provide a composite of Lee's spirituality and how it is entwined with other aspects of his life. 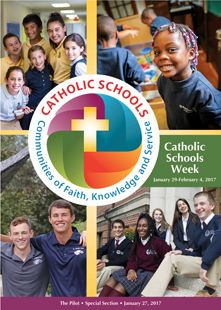 He was not without the struggles one experiences in trying to discern the will of God and applying it to his daily life. Cox states as much, "As a person of faith, convinced of God's providence, he had to wrestle with what seemed to be the will of God, and how he had been on the wrong side of it; the Lord had 'decided against' him and his cause." Might that be a statement readers could apply to their own lives? Those looking for a condemnation or a canonization of Lee will not find it in this book. Rather, they will find a text that offers insight into an important facet of the life of a prominent figure in U.S. history who was formed in faith and who experienced spiritual conflicts, at times, as he tried to live it. As Cox writes, "In short, Lee, the vanquished chieftain in war, had become a leader in peace, esteemed even by even some of his former foes. His character impelled him to move from one to the other, and his character was shaped by faith."